The BRICS, the group of fast-growing emerging markets, are to meet for the first time on African soil in the South African city of Durban. 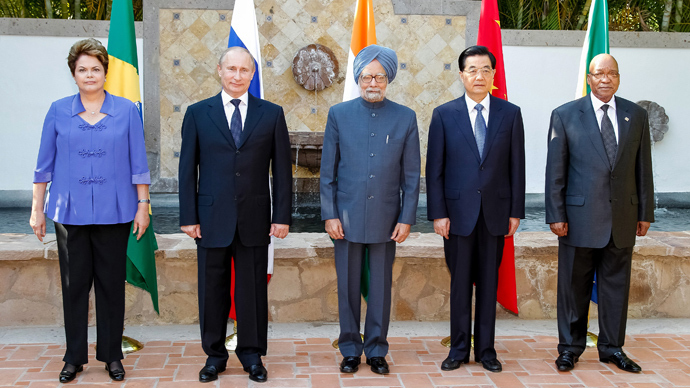 At their fifth summit, they are to discuss the setup of a development bank to overhaul the global financial system. The umbrella theme for the two-day summit is called “BRICS and Africa - Partnership for integration and Industrialization." The summit will have all members of the club present, including Brazil, Russia, India, China and South Africa and 15 African Heads of States and Governments. 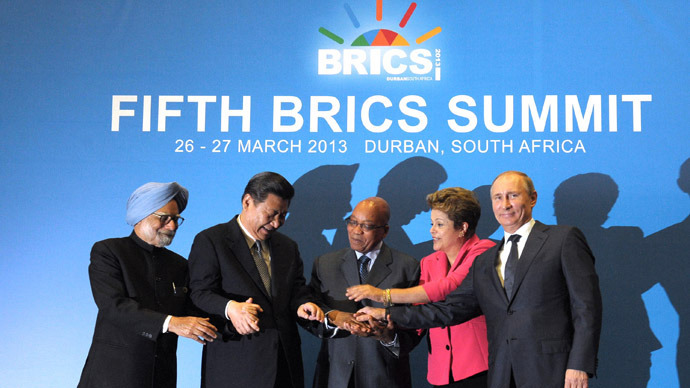 The BRICS bloc of states is now an economic giant representing about 40 percent of the world's population. It also holds an estimated USD 4.4 trillion of foreign reserves and is responsible for a fifth of global gross domestic product. It has also shown substantial, steady economic growth with 2012 figures boasting an overall 4 percent GDP growth compared to 0.7 percent for the G7 nations. The summit in South Africa will be attended by Brazilian President Dilma Rousseff, Chinese President Xi Jinping, Indian Prime Minister Manmohan Singh and Russian President Vladimir Putin. Leaders of the African Union and other heads of African nations are also expected to participate in the event. Egypt has also expressed hope of joining the club. "I am hoping BRICS would one day become E-BRICS where E stands for Egypt," Egyptian President Mohamed Morsi told India's The Hindu in an interview last week. The major outcome of this year’s summit is expected to be the announcement of the formation of the BRICS Development Bank (BDB). Originally proposed as an institution at last year’s New Delhi summit, the organization’s “strategic goal is to transform the aging international financial architecture,” Mikhail Margelov, President Putin’s envoy to Africa was quoted by Bloomberg. The aims of the bank would include funding development projects in the developing world, lending sums in time of need during such as the Eurozone crisis, and issuing convertible debt, which could be bought by the central banks of all the member countries. With 17 percent of world trade volume, the creation of a development bank is a bid to establish greater influence in world financial institutions to match the bloc’s rising economic power. A feasibility study on the construction of the DBD recommends setting up the headquarters at the bank in Moscow and allocating a capital of $50 billion. Last year the bloc strengthened its economic clout by agreeing to conduct trade among fellow members in local currencies as opposed to the dollar. In this regard, Russian experts suggested creating a Bank for International Settlements, to protect the BRICS economies from sharp fluctuations of the dollar and "currency wars." It also called for the creation of an anti-crisis fund of $240 billion. Last week Russian President Vladimir Putin voiced a belief that the BRICS group will turn into “a full-scale strategic cooperation mechanism” and become more involved in global politics. There is a trend with the group of five to see eye to eye on a broad spectrum of international issues including commitment of international law and the United Nation, as well sharing a general approach to the major issues including of the Syrian crisis, Iran and Middle East settlement. The views shared by partners often contradict the general approach adopted by the West. One vivid example being many BRICS countries stance on Syria, opposing foreign intervention and accuse the West of forcing regime change. 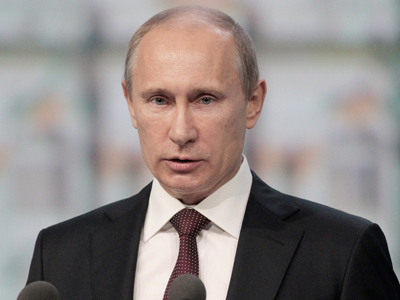 Russia, China and South Africa have vetoed U.N. Security Council resolutions on Syria. "Definitely, Russia and China are the central pillars of the BRICS," professor Shreeram Chaulia told RT, adding that "Russia and China are much more global in their overall approach towards the world order and trying to transform the world order…towards multi-polarity." 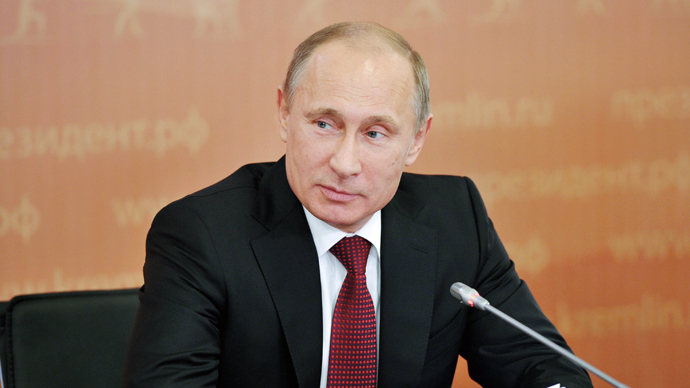 During the Durban summit, Russia will seek to “invite our partners to gradually transform BRICS from a dialogue forum that coordinates approaches to a limited number of issues into a full-scale strategic cooperation mechanism that will allow us to look for solutions to key issues of global politics together,” President Putin said in an interview to the ITAR-TASS last week. “We need to create multi-polarity. Multi-polarity is a political project. The economic vehicles, I see them as means for a achieving a political goal and end point, which is to create a more just and equitable world order,” Chaulia argues. Russia advocates drafting a long-term “BRICS development strategy” and launching “a dialogue on ways, pace and concrete forms of possible institutionalization of BRICS”, including the establishment of a “permanent secretariat”. 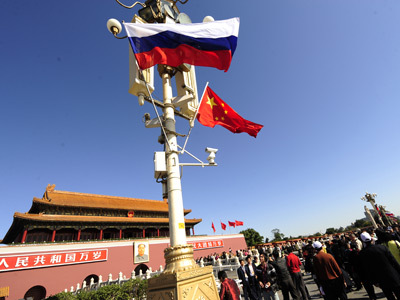 “Russia and China together – it makes a fabulous combination because these two societies are emerging in a way of leading the pack in terms of the political agenda of this organization,” Chaulia says.